If the daily routine with a child has to be managed by just one parent, the congestion can also affect the relationship with the child. A large proportion of single parents work full-time and are self-reliant in education two years after their parents split, half the fathers are out of touch with the child. However, you have to understand how important it is for children to keep a positive image of the fathers. For example, when my husband left me, all I think about was how to protect my daughter from that. I understand that her lovely father have to stay her “daddy”. It was hard for me because I was mad at him. I had to work on three works and I almost did not have enough time for my 3-year-old daughter. Later I found the job of a copywriter in educational centre, and now I have more time for my daughter. I worked at home, which allowed me to spend all my free time with my daughter. It is a great joy for me to have opportunity to cook pancakes for my daughter in the morning. There is the saying “It takes a village to raise a child”. 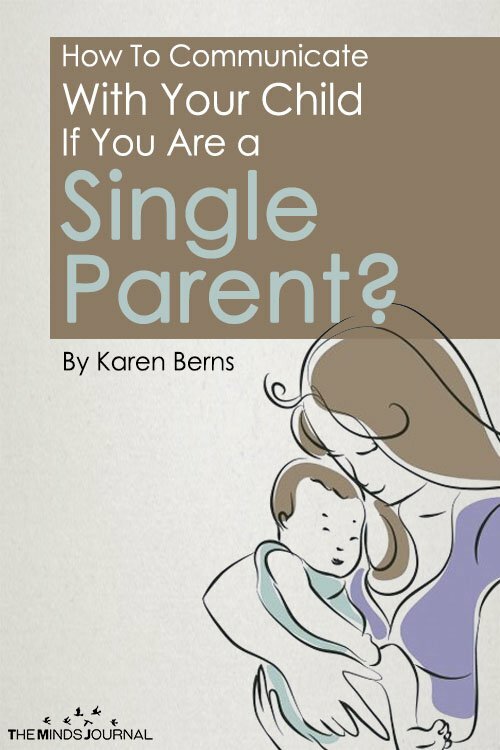 However, single parents usually have to cope with everyday life with a child without help. What was the main problem for these mothers and fathers? How does this pressure affect the mothers? Their health is often physical, but also mentally impaired. For example, their risk of depression is up to three times higher than that of mothers in partnerships. These burdens can affect the child: boys more often show signs of attention deficit and girls tend to depressive withdrawal. The problems of the children, in turn, complicate the everyday life of one-parent families, creating a vicious circle of need and overwork. 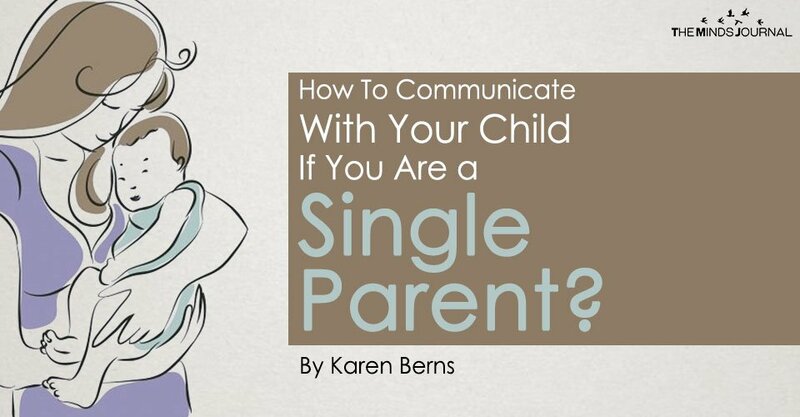 Unfortunately, single parents usually left alone. How is it possible for single parents to have no outside support? Some lonely and needy single parents unconsciously push their child into a partner role. First of all, that may work well if the child says, I’m tall, I can help you. But mothers should be careful when the child begins to console them and to take over work for which it is still too small to mother or even to treat them. When the mother conveys, “I need you, if you do not stay with me, I have none at all”, then the child hindered in his own development and autonomy. The mother should then also get help for the benefit of the child. There are extreme cases when 15-year-olds are still sleeping in bed with their mother, who was afraid of abandonment and did not allow the child’s relationship with the father. That is already emotional abuse. Where do women get help when they fear something in the mother-child relationship is going wrong? Conversations with friends or with kindergarten teachers often help. In addition, single parents should find out what kind of assistance municipalities have, which social organizations, for example, have family counseling centers. Maybe a psychotherapy is useful, there are also especially for children. Before going to the youth welfare office no one should be afraid, parents can apply for concrete help for education, from counseling to day group for the children. Would not it make more sense for parents to take advantage of this aid as soon as it is clear they need to raise their own child? That would of course be desirable, at least after the first acute separation phase. Then, for example, apparent provocations of the children would not be misinterpreted as personal attacks or behavioral disturbances of the child, but recognized as cries for help and the bond between mother and child would not suffer at all. It would be ideal if mother and father deliberately went to the parents for advice so that both of them could continue to be there for the child in the future. In the end, the mother would be more relieved if the child spends a weekend with her father. Unfortunately, there are many deeply hurt men who also retire after a break from the child and do not realize that the relationship with their child is something of their own, most important. From the father’s retreat, the children may sustain mental scars for a lifetime.